Whether you agree or not, the world's weather is changing. Panama is no exception. In 2007, the dry season started in mid- November.In 2008, we had our first dry hurricane with wind speeds of over 100 mph. 2013 has seen sunnier mornings. My BLUE SKY MORNING INDEX, shows that we have only had 6 days so far this year when the day started completely overcast. 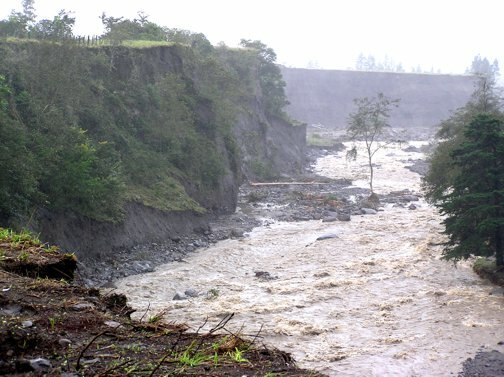 If the current weather patterns continue, Chiriqui will have the "Best Climate in The World." YOU CAN CHOOSE YOUR CLIMATE. The beauty of Panama is that you can have just the climate you want. There are two basic options - mountain or coastal living. Coastal or city living can be hot and humid and to be honest unless you are living within a few hundred yards of the ocean and its breezes, the climate can be very uncomfortable. We at yourpanama.com are biased. We live in and love the mountain living lifestyle. whatever climate you want - we have it. I lived for more than a year in Panama City, close to sea level. After about 10 or 11 a.m., the weather in Panama City became warm and humid. Most ex-pats are uncomfortable without air conditioning – and electricity is expensive. With air conditioning running most of the time in a three-bedroom apartment in Clayton, just outside the city, power cost about $140 a month. Cooking was done by natural gas. 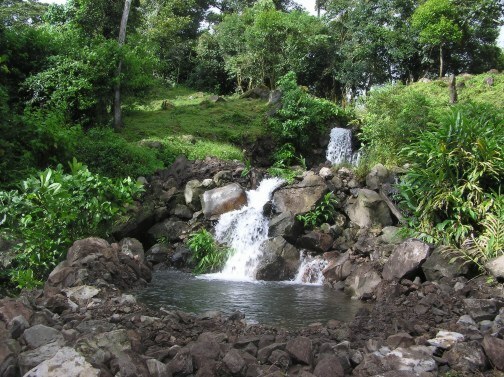 Now I live at an elevation of 4,570 feet, just outside the small community of Volcán (pronounced Boll-cahn) in the province of Chiriqui, about 20 miles from the Costa Rican border. 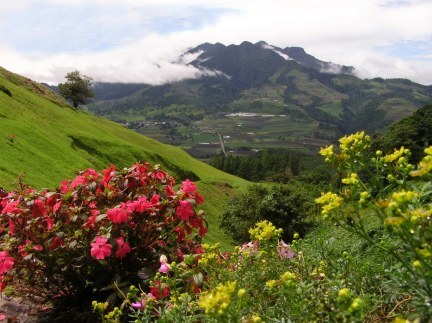 It is named after the country’s highest peak; the 11,400 foot Baru Volcano. Yes, we do get flooding. 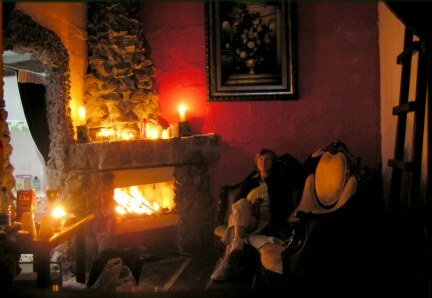 In the highlands of Panama, you definitely need a sweater or jacket in the evening, even inside the house. From about 10 or 11 in the morning until 4 or 5 in the afternoon, the sun is warm, but it’s not humid as it is on the coast. The Panama weather, at whatever elevation you choose to live, is reasonably predictable. From about May through to December, expect rain most days. But only on about two of those days each month will rain settle in for a good daylong soaking on the Pacific side of the mountainous spine that runs the length of the country. Most days in this period, called winter or the green season, expect a short, heavy downfall once or twice a day. The typical ‘winter’ weather in Panama City (simply called Panama here, just to confuse outsiders) starts sunny in the morning. There are usually a few fluffy cumulous clouds on the horizon, perhaps along with some darker ones. By mid-morning, the clouds have moved in over the city, and the rain starts in the early afternoon. It typically lasts for about an hour, often coming down in buckets. If you get caught, stay where you are for a while, if possible. The worst will probably soon pass, and the sun will come out again to dry everything off. There may be another downfall in the evening or during the night, usually accompanied by dramatic displays of lightning and crashes of thunder. ‘Summer’ Panama weather starts in December and ends around April. There are very few rainy days during these months, and the humidity drops noticeably. This weather pattern, with better weather when it’s winter in the north, makes Panama an ideal place for Snowbirds. During a freak storm in early 2009, we had wind gusts of over 100 mph. This utility pole was bent 90 degrees and some 500 trees were uprooted. January and February are the windy months. The wind speeds meant that this qualified as Panama's first ever hurricane. 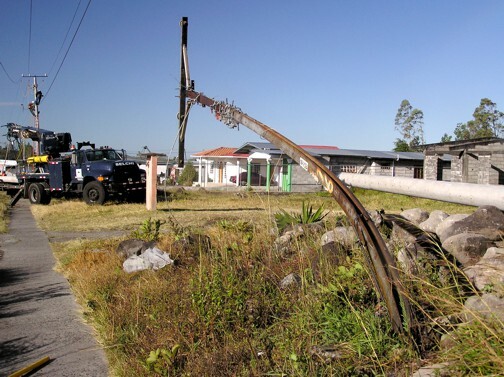 (Category 2) Police did report that twisters were seen along the Panamerica highway near David. 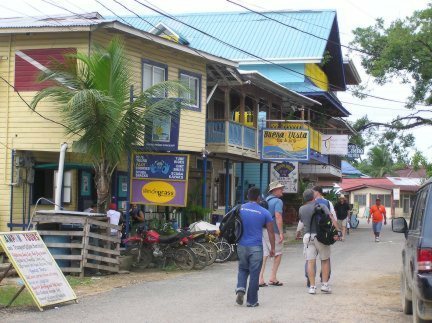 The Caribbean side of the country, in popular tourist region Bocas del Toro, for example, has considerably more rain as the clouds from the Pacific cross over the mountain range and meet cooler air. This is a favorite place for surfers, so maybe they don’t care as much about the Panama weather. 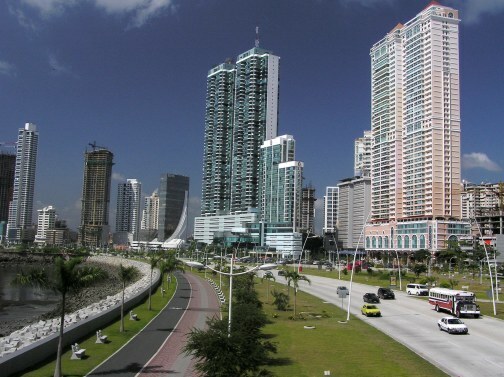 The average high temperature in Panama City (most of which is near sea level) has been 87°F (30°C) over the past 13 years. The hottest months were February and March (90°F, 32°C), and the coolest month was October (85°F, 29°C). Average nighttime temperatures vary only slightly throughout the year, between 76°F (24°C) and 78°F (25°C). The highest and lowest temperatures recorded in that period were 102°F (38°C) and 68°F (20°C). Humidity can take some getting used to in Panama City. Over the past 11 years, average morning relative humidity has ranged between 87% and 93%, with the lowest months being March and April. Average afternoon relative humidity has ranged between 59% and 81%. On average, October has been the most humid month. The Panama weather? The choice is yours. Dial a temperature and make yourself at home.